I already have my class A, but hadn’t shot or handled a gun in a while and felt I needed a refresher. Tom, was great. His knowledge of guns and safety was impressive. I walked out of the training session feeling more confident than I have ever have about handling guns. Also my shooting is more accurate than it has ever been. Tom took the time to make sure I understood what could go wrong with accuracy and helped me correct the things that needed to be corrected. I would recommend Tom to anyone wanting to get their gun permit or someone just needing a refresher. I’m happy to recommend Tom. I found him to be an extremely qualified and well-prepared teacher. 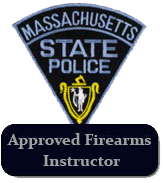 His technical mastery of firearms and his knowledge of their associated regulations make him a great choice for a firearms instructor. I had no experience with firearms, and as a single woman I thought it was prudent for me to get a basic understanding of the dynamics and safety of them. 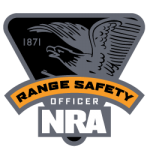 Tom is an outstanding professional who was superb in teaching me from the very basics to actual execution and feeling comfortable with the safety and proper utility of firearms. Tom was a great instructor. He was very flexible with days and times. Tom was very knowledgeable about gun safety. 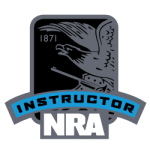 Tom is a professed and skilled firearms instructor, who not only helps you feel comfortable and confident when handling a firearm but makes sure that you understand the complexities of handling one safely. As a mother of two gun safety is very high up on my priority list and I would not hesitate to recommend Tom to anyone seeking to obtain their gun permit!